The emergence of data on everything, from material flows to customer preferences, has drastically changed the way organizations do business. This has led to an alarming need for enhanced data management, analytics and talent. The way data is used by organizations is changing how those organizations work, resulting into a difference in effectiveness, costs and customer satisfaction. The advent of disruptive technology and innovation signify a challenge for businesses by creating completely new means for conducting business. Indeed, disruptive technology has the capacity to entirely shake up a supply chain and change the way products are manufactured, distributed, and tracked. A survey by Inbound Logistics Surveys found that the most disruptive technologies were Internet of Things (IoT) at 42%, autonomous vehicles at 41% and drones placed third at 25%, and finally 3D printing followed closely behind at 24%. These four technologies are considered to be the most crucial ones by supply chain leaders. While various large organizations have shifted gradually from traditional supply chain to a digital supply chain, many other industries are still quite unprepared for that. The struggle caused by disruptive supply chain technologies represent a real challenge for traditional retailers. One of their main concern currently is to find ways to cope with these changes and become more agile. How big organizations have disrupted Supply Chain functions with advanced technologies? According to an article by SupplyChain247, large and leading organizations such as Uber and Amazon have mastered the art of creating a direct connection to their customers. This in turn allows them to collect massive amounts of data about these consumers. They have changed the way supply chain works with the implementation of new technologies. Let’s take for example Amazon’s warehouse which is perhaps one of the main examples of how humans and machines can work together to improve efficiency. Employees no longer have to roam around scanning each item or search for missing bar-codes. There are robots with built-in cameras and QR readers to quickly identify items accurately. Hence, by applying tools like artificial intelligence, the online retailers are able to create more personalized customer experiences, increase levels of satisfaction, connection, and customer loyalty that traditional retailers just can’t compete with. 2016 reports have stated that 90% of CEOs know that the digital economy will have a major impact on their industries, however less than 15% currently have plans to adapt to this economy. A further 71% of companies say their digital maturity levels are still “early” or “developing.” A Cisco Systems report indicates that 33 percent of the market is at some stage of adoption, but more than half (52 percent) of companies are not investing in digitization and therefore risk being disrupted. The report also asserts that this digital disruption will affect nearly 40 percent of businesses over the next three-to-five years. So, the question is how can traditional retailers cope with all these changes and become more agile? The above statistics highlight the importance of supply chain training to keep up with industry changes. Data analytics and the collection of data through digital means have allowed businesses to gain insightful information about customer behavior. Chief supply chain officers should have enough knowledge about data gathering, technology and analytics to become true leaders and provide a digital vision for supply chain teams. It is essential to understand how important platforms and processes are implemented and utilized. For instance: demand forecasting, inventory management programs, sales and operations planning processes, and transportation management systems. It is the responsibility of leaders to show a firm understanding of the scope and scale of data from various channels. Most importantly, they must be prepared to act intelligently on data. Investing in an innovative training and development program will ensure that your employees are ready to face these changes. For instance: with the new competence development program at Supply Chain Academy, employees will gain in-depth insights on digitization and analytics in Supply Chains. Therefore, this will lead to a better implementation while reducing the possible risks of disruptive supply chain technologies. It is crucial that today’s chief supply chain officer stay ahead of the game as far as latest technologies are concerned. This will ensure that the company properly incorporates digital skills and digitally minded talent. By training employees to be more responsive to the evolving market conditions, they are better equipped to work flexibly and creatively and perform well in their respective jobs. This type of proactive approach leads to better analytical and decision-making skills. It ensures continuous growth, development and adaptability to meet the challenges caused by the changing market conditions. Major supply chain giants such as Amazon, DHL and Uber are already ahead of the Supply Chain game. 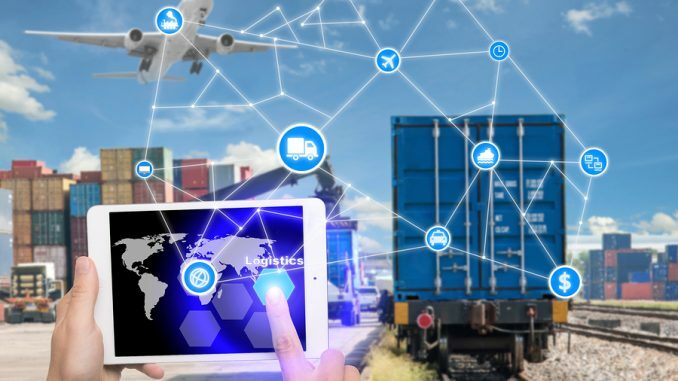 It won’t be wrong to say that IoT technologies, soon, will become an industry standard and we will witness a drastic difference in the way logistics and supply chain functions are managed. The challenge and struggle of traditional retailers to keep up with these big companies is a major concern since customers are becoming more and more demanding. One way to get through the challenge is by adopting an effective training program to help level up the competencies of employees to cope with new technologies.